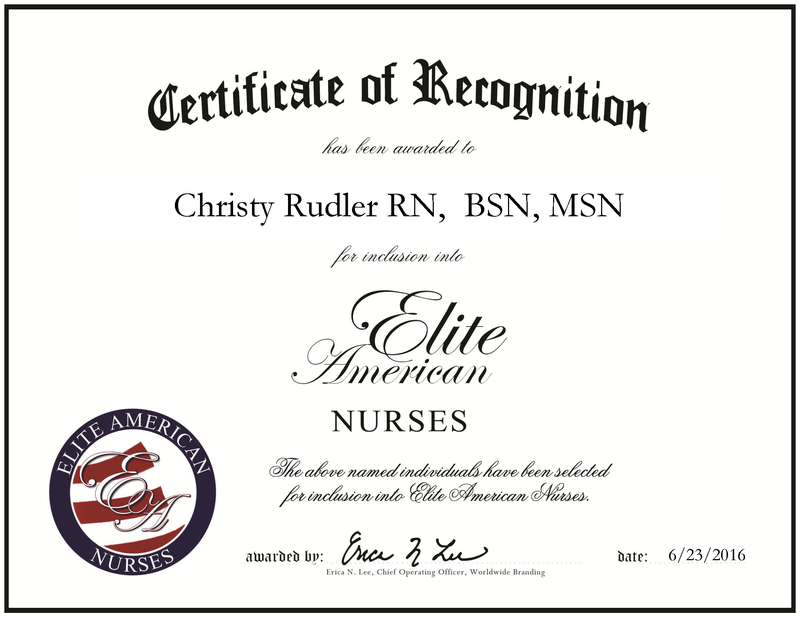 Shelton, CT, June 23, 2016, Christy Rudler, Registered Nurse at Beach Brook Health Center, has been recognized by Elite American Nurses, for dedication, achievement and leadership in long-term patient care. From an early age, Ms. Rudler knew she wanted to become a nurse due to her desire to help the elderly. She has achieved this dream and currently works for the Beacon Brook Health Center, providing long-term care for 34 patients in the geriatric setting. Dedicating more than 40 hours of her week to her patients, she develops profound relationships with her patients and their families. She wishes she could spend more quality time with her patients to provide additional emotional and mental care to the medicine and treatment care that she provides. Ms. Rudler holds an Associate of Science in nursing from Excelsior College and a Bachelor of Science in nursing from Sacred Heart University. She is on track to earn a master’s degree in nursing with a focus in clinical nurse leadership from Sacred Heart University. In addition, she is a member of Sigma Theta Tau International honor society, which recognizes nursing professionals. Looking toward the future, Ms. Rudler endeavors to work in a hospital rather than a geriatric setting. Her professional goal is to work in clinical nurse leadership and continue providing the best care as possible. This entry was posted in Registered Nurse and tagged clinical nurse leadership, geriatrics, long-term patient care, nursing, sigma theta tau international. Bookmark the permalink. Congratulations, Christy! May your work always reflect the work of Jesus in this needy world. Clara Barton was also a great example for us all. Did you know her memory was honored recently with the anniversary of the founding of the Red Cross? May we also have such passion to be a “Change Agent”! God Bless you, Always!